Last Thurday, Tesla’s plant in Fremont, California—where all the company’s cars are manufactured—was thrown a curveball. Jose Moran, a worker trying to rally the plant’s 6,000+ employees to join the United Auto Workers union (UAW), alleged long hours, low pay, and potentially unsafe equipment in a post. Now Tesla CEO Elon Musk has told Gizmodo he intends to look into the situation. “I’m doing an investigation right now,” Musk told Gizmodo over Twitter direct message, “Fremont production management was in poor shape and not able to scale about a year ago. I think we’ve made a lot of progress since then.” He said he intends to publish the results of this (exceedingly short?) probe later this week. “If there are areas that you are hearing are still not great, I would love to hear feedback on that,” he added. It echoes a similar (albeit public) statement Musk made last month asking for input on suggestions he should make to President Trump. It’s unclear if those suggestions were heeded or amounted to any policy changes. We’ll assume this statement was also intended to be public as well. And workers have nothing to fear about bringing their testimony to Musk or the press. While much has been made of the confidentiality agreements Tesla workers were made to sign—so much so that five California assembly members drafted a letter decrying the contracts’ apparently broad language that they felt limited employees’ ability to speak freely about working conditions and pay—worried workers might be heartened by some good news from their boss’s boss’s boss. 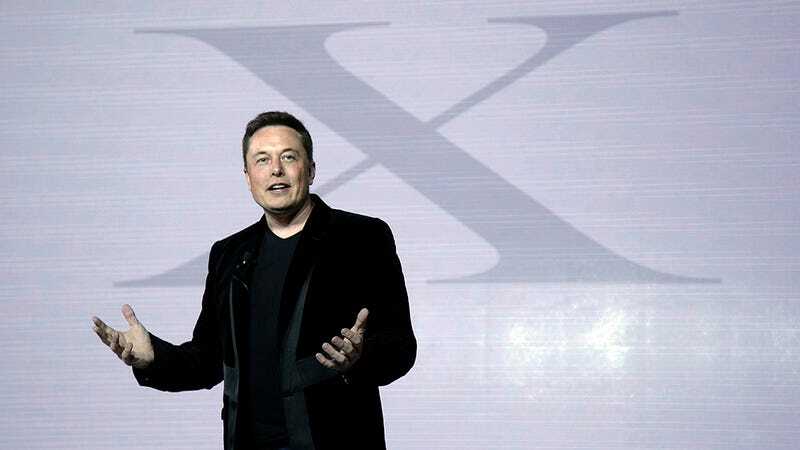 “[The confidentiality agreements] were drawn up to stop advance product leaks to the media,” Musk told Gizmodo. “They specifically excluded workplace environment, health, safety or anything else.” Gizmodo has so far been unable to obtain a copy of this agreement to confirm this. But as far as workaday employees are concerned, their CEO’s word ought to count for something—or at the very least, provide a counterargument to potential overreach by management. Musk concluded by noting that the agreement, “obviously hasn’t prevented that UAW guy from publishing that BS piece,” he wrote, once again going on the attack against Moran who the UAW have loudly and repeatedly claimed is not on the union’s payroll. UAW represented workers when the current Tesla plant was NUMMI—the joint venture between Toyota and GM—and according to a former employee, many ex-NUMMI workers still feel ill-will towards UAW for their handling of the shutdown. Before NUMMI the plant was known as Fremont Assembly, and was widely considered one of GM’s worst plants. It was also represented by UAW. The union was cut out when Tesla took over the space, and is likely angling for a way back in. Curiously, all five California assembly members who signed the letter criticizing Tesla’s confidentiality agreement are endorsed by the UAW. The Region 5 headquarters of UAW used to be located in the midst of the old NUMMI factory at 45201 Fremont Blvd. Back in 2014 it was purchased by Tesla, and rumor has it it’s being converted into a showroom. UAW and Tesla did not respond to requests for comment by the time of publication. If you know anything regarding Tesla’s Fremont plant, workers’ attempts to unionize, UAW, or campaign donations to those five assembly members, shoot an email, message me confidentially on Wickr (sn: trashmouse) or send relevant documents through our Secure Drop site.